"I'll make a prediction right now. The first trillionaire will be made in space, will be the entrepreneur who invests and makes discoveries in space that we cannot even envision. Right now we have billionaires, the prediction I'm making: the first trillionaire will be in the space exploration world." 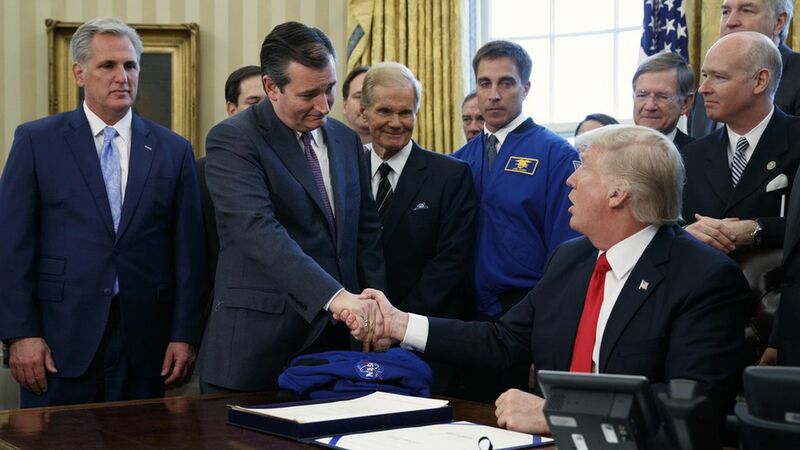 Key context: Cruz is an influential lawmaker when it comes to space (he represents Houston, home of NASA's Johnson Space Center) and said Tuesday he's planning to revisit a key treaty to see how it might be updated to encourage further investment in space. For what it's worth, one estimate says Bill Gates will likely be the world's first trillionaire — and of course, his assets are, as of now, Earthbound. Why it matters: The final frontier is already big business thanks to interest from people like Elon Musk and Jeff Bezos.